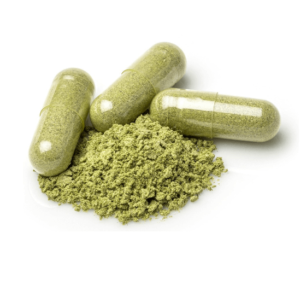 Kratom Crazy has become one of the most popular spots for buying kratom online. 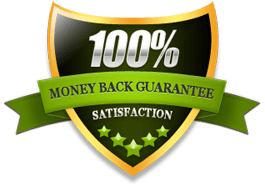 This North Carolina-based kratom vendor has made a name for themselves by offering a 100% money back guarantee and a host of other incentives for their customers. While they do not appear to have the same online presence as many of their competitors, they distinguish themselves by offering transparency, quality standards and a variety of products. Unlike so many sites who are now serving as wholesale kratom warehouses, offering multiple brands of surplus kratom powder, extract, whathaveyou, Kratom Crazy sources their own premium kratom powder. Established in 2014, Kratom Crazy has worked tirelessly to become one of the top kratom vendors. They have achieved this by delivering quality products at reasonable prices, giving customers the option of purchasing bulk kratom powder and providing detailed information about their farming methods. As their mission statement makes clear, the company was founded on a commitment to quality at great prices. By building a network of veteran kratom farmers, they have become one of the U.S.’s premier purveyors of exceptional Mitragyna speciosa products. Kratom Crazy appears to understand what so many fly-by-night vendors do not—that kratom users have high standards that must be met if they’re expected to return for subsequent sales. All of their products are grown in optimal environments for the ideal yield and their powders are then lab tested so that consumers do not end up with an adulterated or contaminated form of kratom. The list of kratom strains available are diverse, whether it’s the always in-demand Maeng Da or more exotic strains such as White Borneo or Super Green Malay. They also sell other unique botanicals like Akuamma and kratom’s sister plants, Mitragyna Hirsuta and Mitagyna Javanica. They’ve got something for everyone here, whether one is looking for a more relaxing strain or a more stimulating strain. For instance, their Super Green Malay has high concentrations of alkaloids with energy-boosting properties. They regularly add new sources for their kratom powder which means that they are seldom out of stock on any given kratom strain. Although there are more affordable kratom vendors in the current online marketplace, Kratom Crazy’s pricing is fitting for the level of quality and potency. “You get what you pay for,” as the expression goes. All of their kratom powders start at $19.99 and customers can buy as much as $424.99 in bulk kratom. 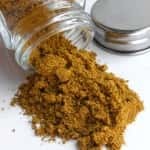 Whereas many vendors don’t even offer consumers the option of purchasing a kilo, those who place an order with Kratom Crazy can order as many as 5 kilos. That’s a whole lotta Thang! At $89.99, a single kilo costs less than it does from their main competitors in the kratom space. 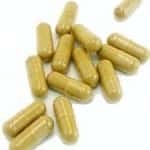 Their kratom capsules are both affordable and vegan-friendly as they come in vegetarian capsules with no fillers, animal by-products or preservatives. I’ve noticed that sites like this that offer other botanicals are more organic-friendly than other top vendors. One pet peeve of mine is the stinginess of online kratom vendors. The shadier companies out there don’t give first-time customers much wiggle room when it comes to deciding which strain to go with or what product to try for the first time. I’m happy to report that that is not the case with Kratom Crazy. Their 3-strain sample pack, which sells for a mere $31.99, gives beginners 50 grams of each strain— Red Bali, Green Maeng Da and White Borneo, respectively. And customers can opt for capsules instead if they don’t want to measure out the raw kratom powder themselves. If you’re anything like me, you probably scour the Internet for deals on kratom. 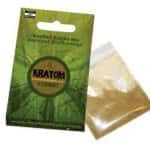 When you type in Kratom Crazy Coupon Code, you don’t get any hits, but that’s because the company delivers discounts directly to their customers in their mailers and to all who order as guests. Another perk, especially for those who are just discovering the allure of kratom, is their prolific blog which includes informative posts about kratom legislation, kratom drug tests, kratom side effects, kratom strains and current kratom news items. 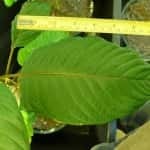 Some kratom blogs just talk about individual kratom strains and what they are known for, but the KC blog features interviews with kratom advocacy groups, quotes from medical experts, information about user experiences and even comparison reviews where they compare one strain to another. If I have one criticism to levy at these guys, it’s that they don’t offer kratom extracts. Although this may have more to do with recent statements by a lobbyist for the AKA (American Kratom Association), an advocate for kratom’s ongoing legality, who was interviewed on Kratom Crazy’s blog about the need to keep kratom from being altered, enhanced or otherwise adulterated. Still, a tincture or two would’ve been a nice addition to their otherwise illustrious lineup of products. 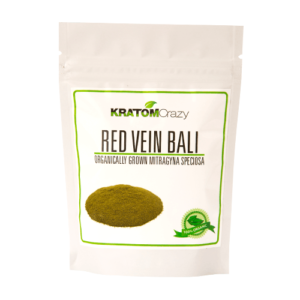 All in all, I’d have to say that Kratom Crazy is a kratom vendor worth checking out. This respected company has enjoyed longevity and loyal customers thanks to their dedication to quality control and customer service. Their reputation for fast shipping and fair treatment has placed them among the crème of the crop in the kratom marketplace.